Typically the process doesn’t start until you fall four months behind. You will also be formally notified before the proceedings begin so there is a little time to work through your financial struggles. We tend to ignore problems more often when we are upset. You’ll be tempted to ignore that mortgage bill and letters from your lender because they are constant reminders of your current financial struggles. That’s entirely the wrong tactic. Mortgage lenders will work with you to resolve the problem. You’ll have more options to consider the sooner you contact them. Are there opportunities to earn some extra income with a part-time job? Can I cut unnecessary expenses from the budget? Are there ways to reduce some of my other bills? When your house is on the line all expenditures should be scrutinized. See if you can spend less on food, clothing, utilities, cable, phone or Internet service and insurance premiums. It may be painful and inconvenient to cut back in some areas but that will not be as painful as losing your home. Plus, by making these sacrifices, you demonstrate to the lender you are serious about not losing your home. Most importantly, no matter how bad the situation gets, stay in your home. Don’t abandon it because you are behind on the mortgage. You may lose the chance to quality for assistance if you leave. Asking for help is always tough but you shouldn’t be ashamed to bring in a housing counselor. Sometimes a fresh set of eyes can see the problem in a new light. A counselor can help you analyze your budget and suggest viable options you have not considered. They can also instruct you on how to work with the lender or even negotiate on your behalf. On a note of caution though, beware of foreclosure related scams. There are con artists seeking to take advantage of homeowners in desperate situations. Know how to spot a foreclosure scam and then report it if you become suspicious. As you work with the lender it may be possible to alter the terms of the mortgage. The lender may offer you a special forbearance, where they provide a temporary reduction or suspension of all payments until your financial situation improves. Lenders can also “reinstate” your loan if you can pay a lump sum by a specific date to take care of all the back payments. They may also be able to modify the loan entirely. Lenders have the ability to change the interest rate on the loan or extend the number of years to payoff the loan. They may even be able to offer you a second loan that you could use to bring the delinquent account current. If all else fails, you need to get rid of the home through a regular sale or a short sale where the lender allows you to sell the property for less than you still owe. Selling a home is not the outcome you were looking for but again it’s better for your financial future than having a foreclosure on your record. Sometimes our lives do not go as planned. Struggles occur that put serious strain on our finances. By being proactive and following some basic steps you can avoid adding a foreclosure to that list of struggles. 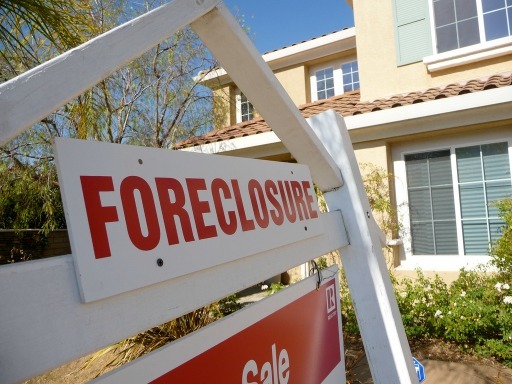 Questions: Have you ever been faced with a foreclosure? Were you able to keep it from happening? What other suggestions would you give to someone facing this situation? Am learning so much from all your post. This is such a relief to find solutions to problems like this, and i think seeking a counselor would be a smart move. Thanks for sharing Brian,I appreciate it. Brian, these are all great tips. I love your number 3 tip and for me, it’s one thing that people really should do during tough times. SUPERB tips! I had some friends that went through foreclosure…..they came to the conclusion that they couldn’t make their mortgage payment, so they just stopped. They got the foreclosure notification, but they continued to live in the house for over a year before the bank got around to their court proceedings…. Brock recently posted…Help A Blogger Challenge: Can My Lawn Mower Be Fixed? I had a relative go through a short sale and while it was a painful event, they’ve managed to move on with their lives and learned how to avoid that situation in the first place. Often people only seek out information once the problem is dire, and you’ve given them some great advice on how to deal with it. I haven’t been in this position, Brian. But, after reading your post, I now know what to do first. Communication is indeed helpful during this downfall, plus being honest I suppose would help reach mutual decisions. Jayson recently posted…We’re having another little boy! These are the types of posts that I think bloggers need to focus on more often. Practical and helpful advice about tough topics. I’m all for stuff like credit card hacking, but holy crap there is a huge credit card problem and we need to offer people solutions! I think your advice on this topic is great and I hope people will reach out for help if they are stuck in this difficult situation. It could really happen to anyone considering how the economy has risen and fallen over the past couple decades (and probably will continue to). My neighbors are actually going through a foreclosure right now, so this was really informative. I feel so terrible that they’re going through this though 🙁 I’ll be passing this article along to them for sure. That’s too bad…I’m sure it’s really stressful for them. Thanks for sharing this with them. I’d love to know if they can work it out. I’ve been stressing about this lately. We are selling our home and moving to another state. We have had the house on the market for a month and have only had about 5 showings. My mind keeps going to “what if”. We cannot afford two house payments. Our budget is already trimmed as far as it can go. I’m going to pick up whatever freelancing jobs I can get, but… What if. Very few homes of our home’s size are easily rented in our small town. Folks who can afford the rent and want this size are normally in the market to buy. We will, of course, attempt to rent it.. But… What if. “Prayers appreciated.” Will do Kirsten. What’s the nature of and timeline to move? Work related? Do you have an option not to move until the house is sold? That would be the ideal scenario…then rent in the new state until you find a place. I’d just preach patience. You’ve only had this up for sale for a month. And I wouldn’t know what to expect since I haven’t sold a house in awhile but five showings seems pretty good. My husband had a new job. He starts later this month. Delaying starting until the house sells is not an option. Houses here either go immediately, are they languish on the market for years. When we sold in Houston, we had five showings the first week, and about 3-4 every week after, until it sold around week 6. When we sold in rural Tennessee, we had 4 showings in the first four days. House sold. I trust the Lord. I am not nervous. I just think “what if”. New job…well that’s a positive. Congrats on the new opportunity. “What if”…I know it’s real easy to think this way. I find myself doing it too sometimes. I’m try to limit thinking this way though because “what if” scenarios just play with my mind. Every time I play “what if” I hatch elaborate scenarios that could happen and work myself into a tizzy. Then it never plays out the way I envisioned it. I know you have to plan for every contingency but I wouldn’t get too worked up over it. God always sees us through even if it’s not on our timing. Let me know how it turns out…I’d like to know. Foreclosure is such a tough thing to deal with emotionally and financially. And I agree the first step is to confront the situation head-on. You may be pleasantly surprised by how willing your lender is to work with you, especially if you are upfront and proactive with them. “… how willing your lender is to work with you…” If truth be known they don’t want to deal with the foreclosure process either. They’d rather help you avoid it than go through it. I can’t imagine being in a situation where I am facing foreclosure, but I know it happens quite often in the US. These are good tips for anyone to follow if they are facing this type of situation. This makes me sad! I cannot imagine facing a foreclosure and I have such empathy for anyone facing it. From a preparation standpoint, I think I will always try to live below my means and rent or own something that is much more manageable. I think of Andy Stanley’s saying “it’s better to want than to owe”. I’d rather want the big house than actually owe on it. I believe most retirement plans will allow you to make withdrawals penalty-free if you’re faced with true financial hardship. Though it would stink to have to dig into your retirement nest egg, it would be better than losing your home and ruining your credit score. I’d consider digging into my retirement the last ditch effort after all other options had been exhausted. But you are right – it would be better than a foreclosure.